The Monogoggle XTR goggle provides extreme visual clarity in all conditions. 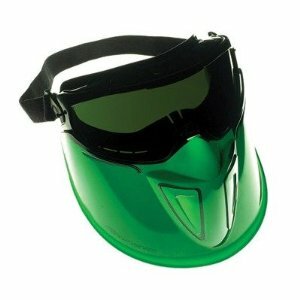 Features: *lightweight *stylish *protects against chemical splashes, dust and impact, while providing increased visibility due to its cylindrical lens *superior impact resistance and eye protection from 99% of UV radiation *soft pliable frame that conforms to the face for comfort *easy to clean and sanitize. Anti-fog optics, anti-scratch and anti-static characteristics provide superior visual clarity in all conditions. Meets ANSI Z87+ 2003 standards.